This Thursday was World Book day. 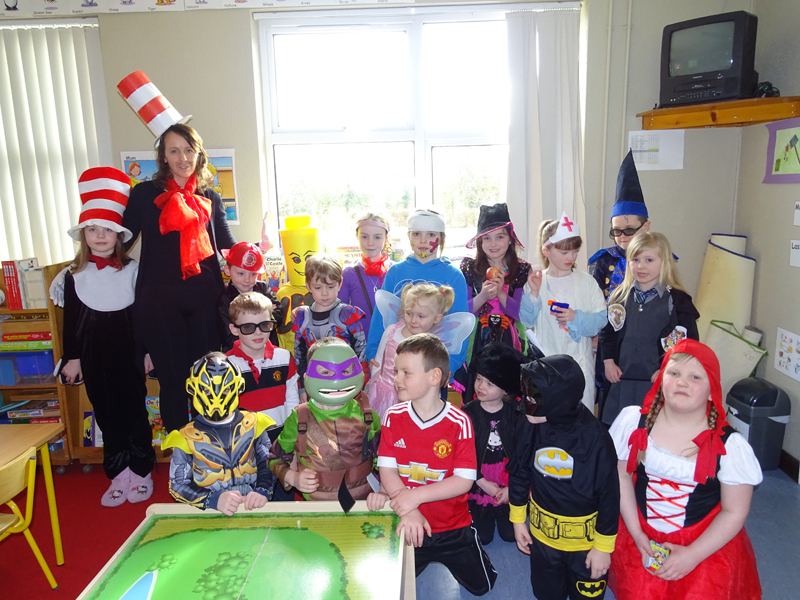 Pupils in the school dressed up as book characters of their choice! There were some very good costumes. In the senior room, we played a guessing game to see if we could guess the characters from three clues. Some clues were very cryptic. Each pupil in the senior room got partnered up with a child from the junior room. Then we read them a story of their choice. Because it was World Book Day each child got a Book Token to use at a book shop. 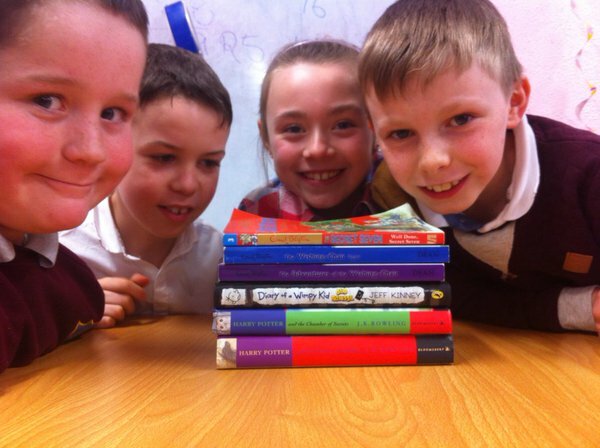 With these book tokens you can either get a free book that is € 1.50 or you can get € 1.50 of a full riced book. If you are getting a book free there are only a certain amount to choose from. They will have a World Book Day sticker on them. We also had a book quiz. Two teams drew at the end of the great bumper quiz so Aoibhe’s and my teams had a tie breaker round! We won so we got to pick a prize! I chose a Minion Pen. Taylor and Eoin were on my team and Éanna and Marissa were on Aoibhe’s. We are reading the Guns of Easter and we had a competition to design a new cover for the book. Here are the winners, Nichola, Alanna and Ava with their prizes and illustrations. There also was a competition to design a book token. The winners were Gavin, Paul and Gabrielle. We all brought in our favourite books too and gave a quick oral presentation on why they were our favourites!